The client wanted to open the kitchen to the common area by removing the dividing wall between. 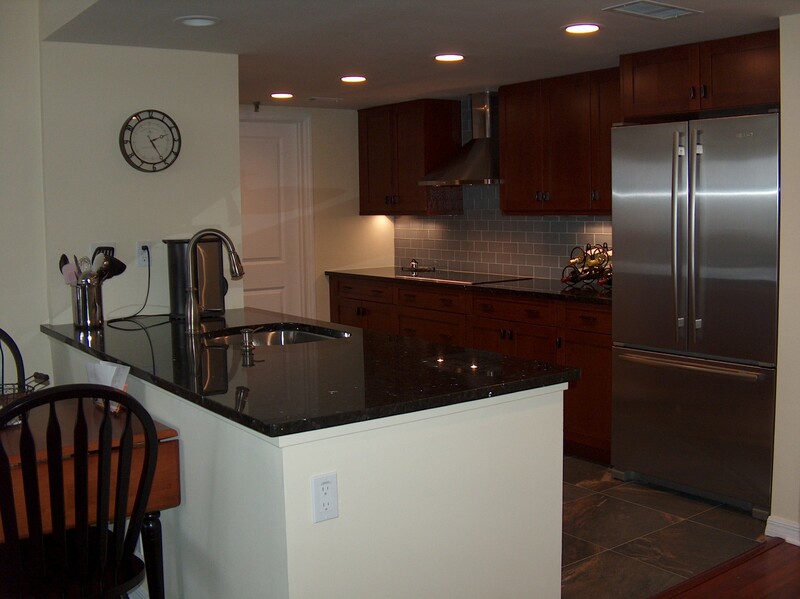 They also wanted to rearrange the kitchen by moving the refrigerator closer to the food prep area. LED lighting with dimmers was added throughout for better night visibility. A swag fan with a light was the original design. Glass tile in the bathrooms and kitchen back splash add a simple elegance to the rooms.